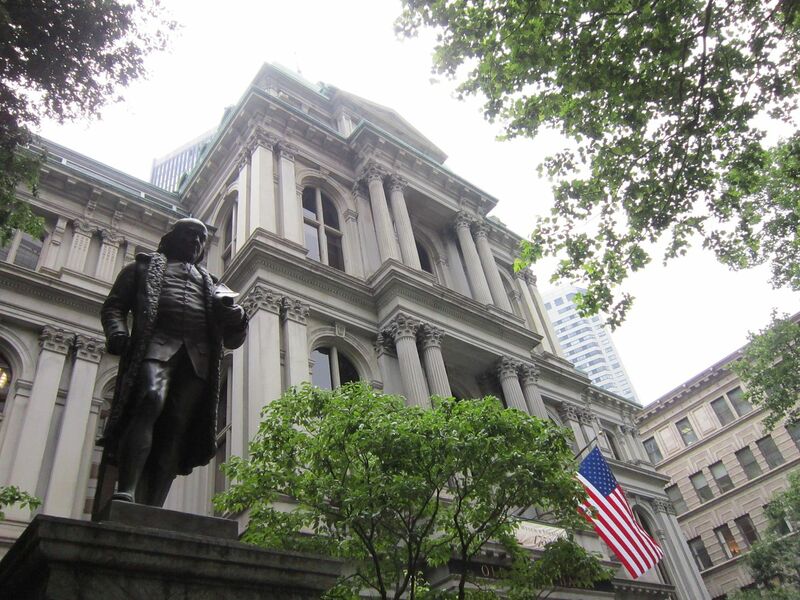 2013 Road Trip Photos #34: Outtakes, Part 1/3: More Freedom Trail « Midlife Crisis Crossover! At last it comes to this: the long-running photo series — chronicling our 2013 family road trip to Boston, Cleveland, and other towns along the way — concludes with one more trilogy. I design our annual travelogues with two rules in mind: (1) each entry should comprise a story, or at least a chapter in a story, not merely a clutch of random pictures drawn from a hat; and (2) for the sake of readers with more limited devices, no entry should be bogged down with megs upon megs upon megs of photos. Sticking to my personal composition targets means a lot of photos don’t make the final lineup. I’m not convinced anyone unrelated to us would want to see all several hundred photos we took this year, but a few more shouldn’t hurt. Besides, I have selfish reasons: a 36-part saga sounds like a much nicer, rounder number than leaving it as a 33-part saga, which would invite curses and fatal feng shui errors in the site decor. Our first batch of outtakes (plus commentary! as always! like it or not!) 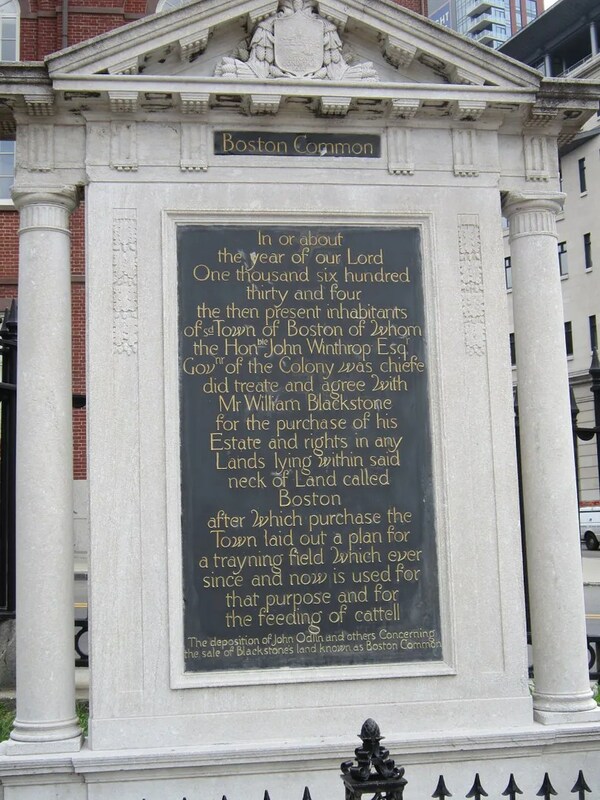 is entirely from our walk along Boston’s Freedom Trail and the adjacent areas, as seen in the Day Two entries from our handy, official 2013 Road Trip checklist. Up first: alternate shot of the Benjamin Franklin statue and the building behind it. I went with a head-on shot for the original entry to focus on ol’ Ben himself and make it easier to disregard the building whose name I didn’t write down. Also, it seems wrong to see Ben looking so moody. 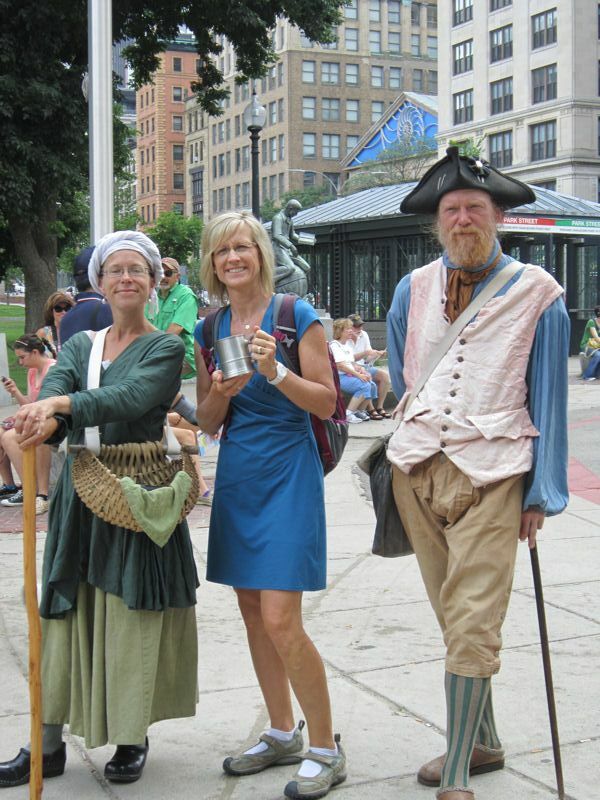 Plenty of helpful tour guides and retired history buffs are on hand at the visitors center to offer paid walking tours, local insight, or city-sanctioned cosplay photos. When strangers pop up between your photo subjects instead of relatives, they look much odder in your scrapbook, especially when you revisit them twenty years later and are so certain you used to know that woman. By then the mists of time will have occluded the fact that no, you senile codger, you didn’t. Plaques can be instructive and decorative sights. We snap photos sometimes for our own reference later. This one regales us with vital Bostonian backstory and gives us an idea of how Chaucer might have spelled “cattle”. We parked for the day in the Boston Commons underground garage. 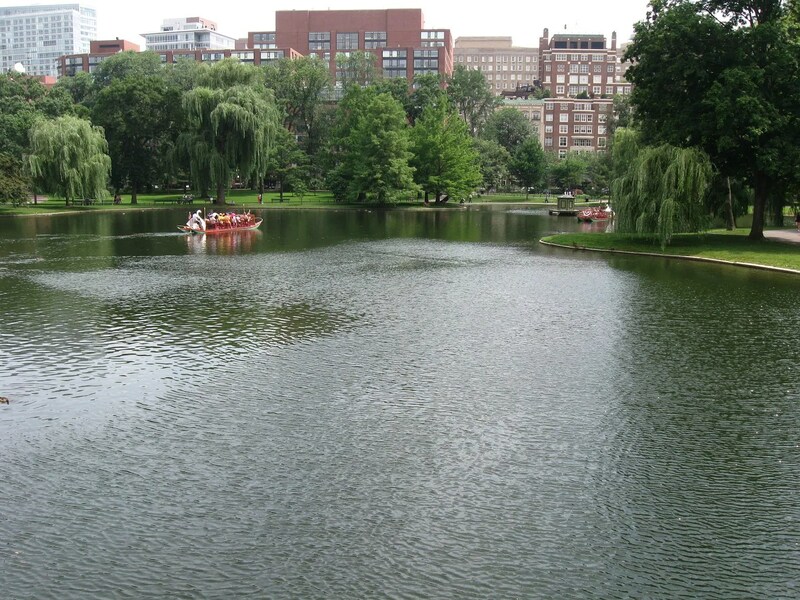 Most of our greenery pics came from neighboring Boston Public Garden. When we arrived in the morning after contending with rush hour traffic, we were so anxious to see or do anything outside the car that we took almost no pics of the Commons proper, save this Majestic shot. 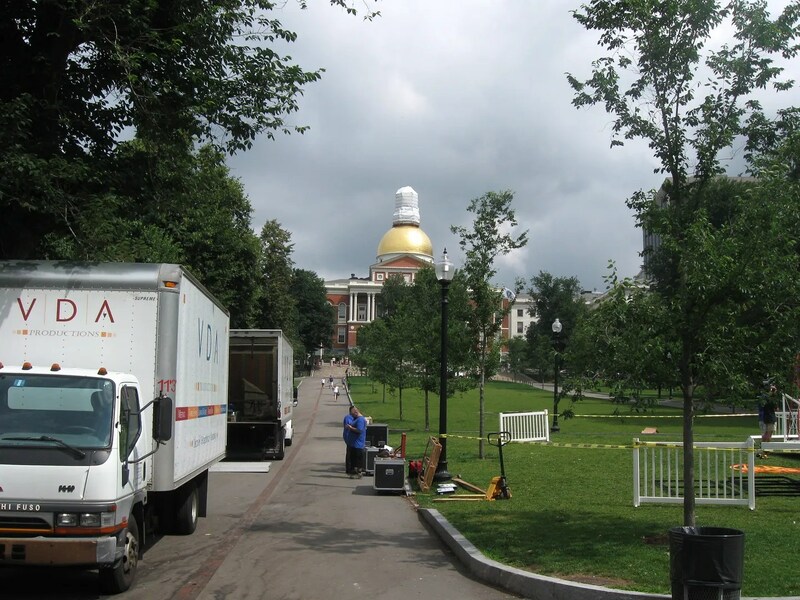 The Freedom Trail’s marker led us up the road to the Boston State House and capitol dome, but it wasn’t the scenic route. Sometimes I find a certain curious honesty in capturing glimpses of our unvarnished, nuts-‘n’-bolts surroundings. I may be alone in this. 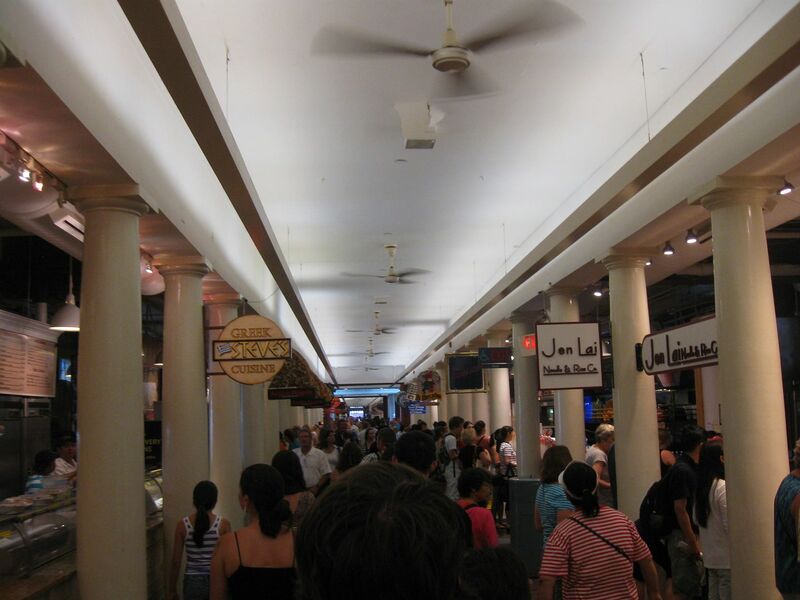 Upon entering the Quincy Market, I expected vast rows of stalls, booths, and kiosks that stretched into the horizon. Sadly, the walls between us and the horizon were much too close and failed to offer us magical, infinite roominess. We didn’t realize till days later that most of our shots of the Cheers replica bar came out depressingly blurry. 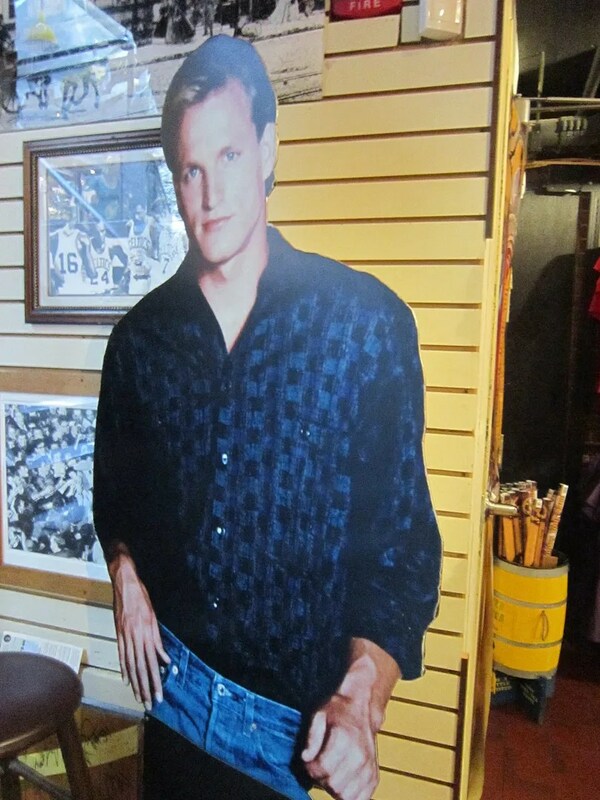 Among the survivors: Flat Woody, who also hopes you enjoyed his work in True Detective and 2012. 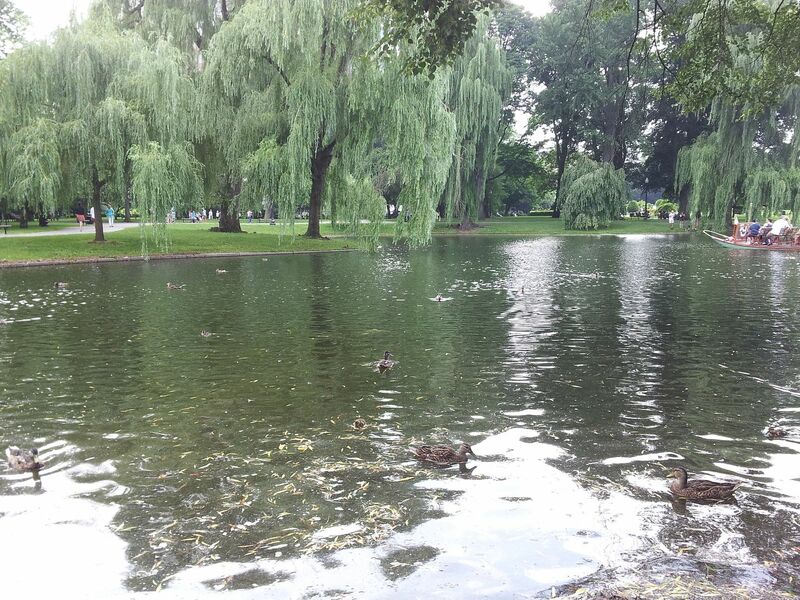 Meanwhile in the Boston Public Garden: bonus duckies! I loved the colors that popped out in several Public Gardens shots, but this one’s all about those underestimated yet crucial bit players you’ll find adding resonance to every classy pond scene: the ripples in the water. 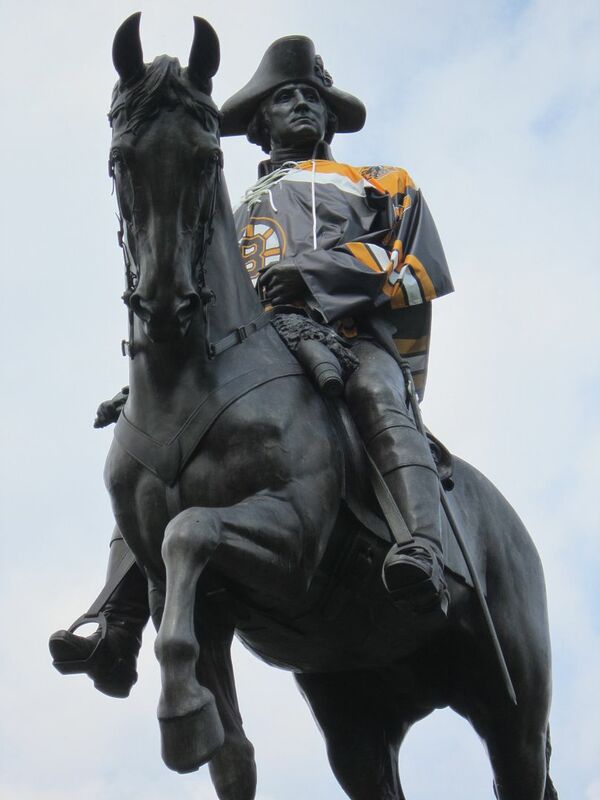 And for the sports lovers out there, a closer look at President George Washington supporting his beloved Boston Bruins, according to Boston’s rather biased statue outfitters. One of my favorite cherished memories of Boston is of walking the Freedom Trail on a very cold, rainy, cloudy November New England afternoon. The skies threatened rain for us, but it never amounted to anything serious — kind of a shame, as some relief from the late afternoon heat would’ve been most welcome. I’d love to do the Trail again when we don’t feel quite so pressed for time. I like! Boston is definitely in my Top 5 favorite cities & I haven’t been there in a year, so these are great. The last picture is hilarious. I ate at both Cheers restaurants b/c I’m lame and I will probably eat at the original one again next time. We drove by the original around lunchtime, but there looked to be a long line outside, so we kept going. Something to keep on our to-do list if/when we visit Boston again! They’re both fun. 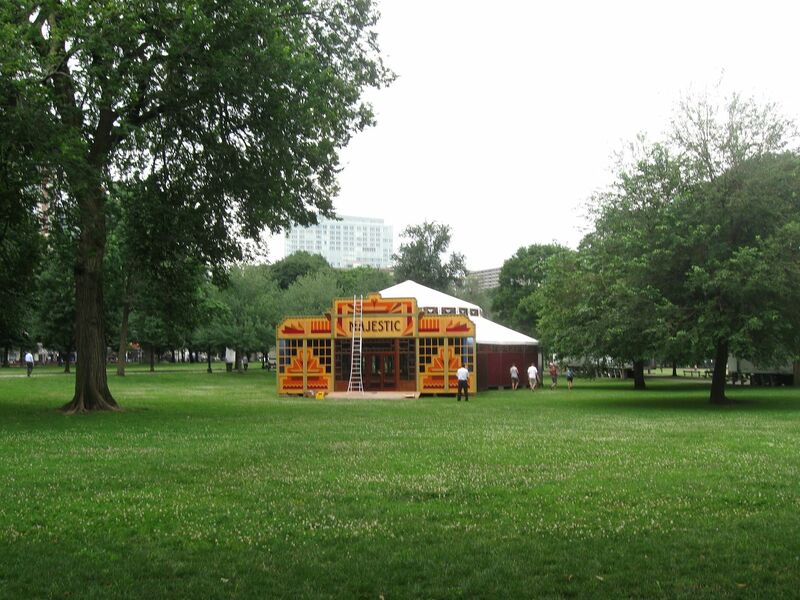 The first time I went to Boston I only went into the replica now that I’m thinking about it. After that both. I remember being happily amazed by the low price of a cranberry juice there compared to buying one at a restaurant in NY. I like cranberry juice ok! I need to do Boston again for sure. Soooo much stuff I didn’t do yet like the Freedom Trail.